Hello and thanks for checking out our site! 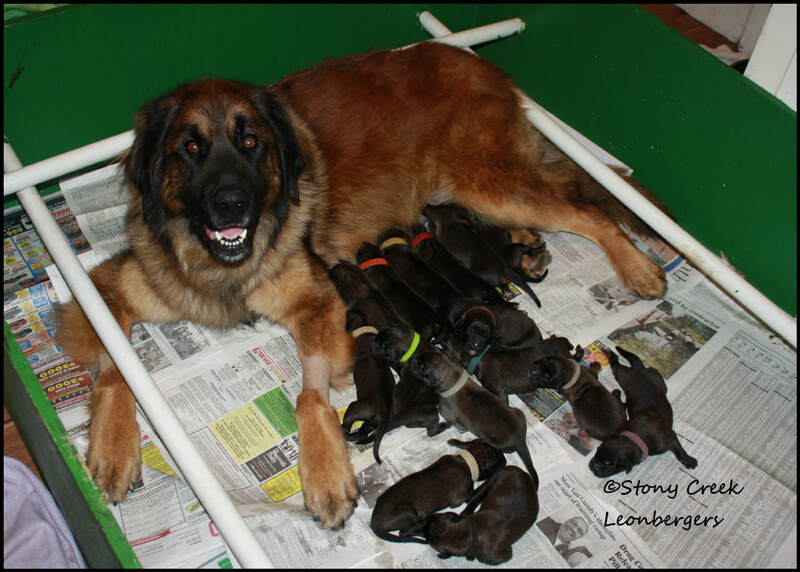 Here is a little background information about us and how we came to be owned by Leonbergers! We are a mother (Carol) and daughter (Rhyan) team that has a deep and profound love of animals. Carol started out her early years in 4-H and discovered her love of raising dogs. Carol's mother was originally from Newfoundland and felt ties to the breed. Carol bred and showed Newfoundlands in the 1980's & 1990's, even obtaining invitations to Westminster. We've dabbled in showing our Leo's and earned several UKC championships in the earlier years before Leo's went full AKC. Our lives have become too busy for much showing but several pups have gone to hobby show homes and have done well. Most of our puppy families are just looking for family companions, which Leo's excel at, but quite a few have gone onto therapy and service work. Rhyan was raised in the whelping box along with the puppies. 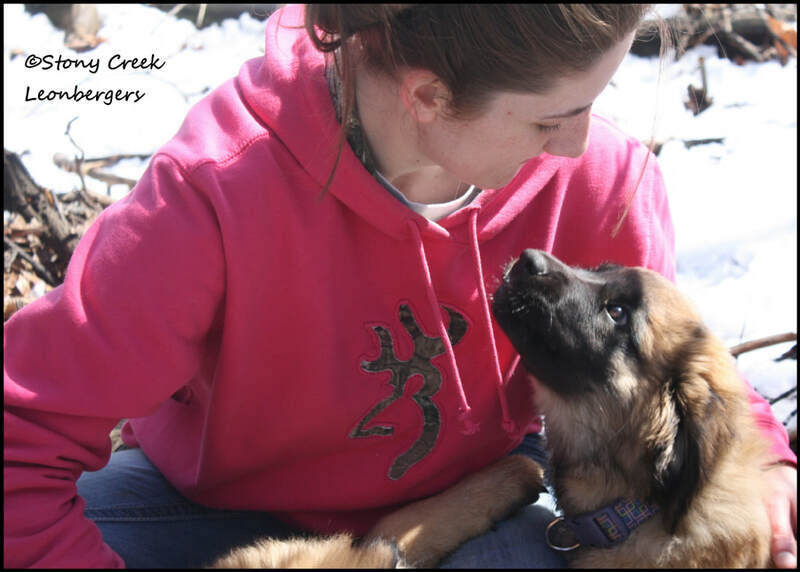 She has enjoyed 4-H, obedience, conformation and agility training/competing and is also a certified veterinary assistant. A love for dogs was deeply ingrained in us both from the very beginning! After a lifelong friendship Carol married her husband and moved to the apple orchard in 1981, where fifth generation of Ross' are still living. 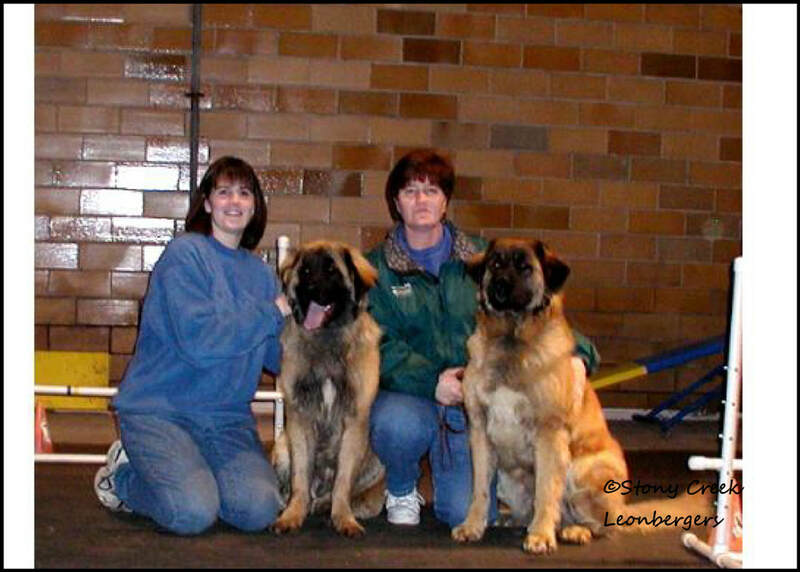 In the late 90's we learned of Leonbergers, we still had one aging Newfoundland at the time, and our first Leo joined us in 1999. Newfies still hold a special place in our hearts but the Leo's just went that extra step. Cleo was our first Leo and the beginning of a wild ride! She taught us a lot about the breed, including the difficulties that come with trying to raise this wonderful breed. Over the years we have continued to learn and have more success with our breeding endevours. We've imported several dogs from Canada and Germany, with our most recent import from Poland. All of our dogs are our babies and once retired from breeding the dogs remain with us for the remainder of their lives. We have a lot of property (living on an apple orchard and all) and work here on the farm/orchard along with our dog grooming and training business. Carol's father-in-law joked the farm was going to go to the dogs! He had know idea how right he was. Almost all of our dogs we've known since 8 weeks old, if not birth. We have had quite a few litters over the years, but it's always different females. We are conscientious breeders and do all of the health testing. Our females have usually 1-3 litters in their life and are spayed. 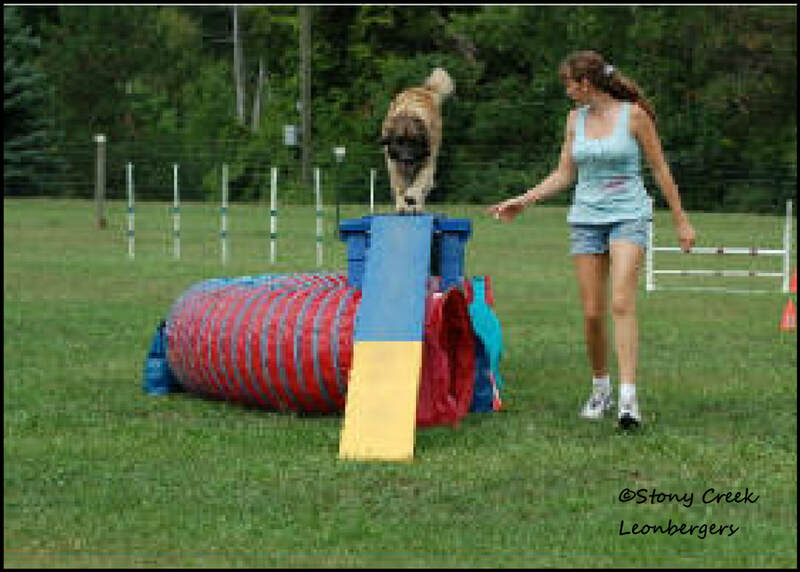 If we do not think a dog has something to offer the Leonberger breed, they are not bred. We keep track of health information throughout the years and litters and have actually had pretty good success with multiple dogs hitting 10, 11, 12 and 13 years old! Just check out our memorial pages. Our dogs are our life and we are devoted to them.